What’s the flaw in this test code? I’ve just checked, and FPC lovingly duplicates the behaviour I’m thinking of too. The flaw in question was immediately spotted by Rudy Velthuis, so credit to him. 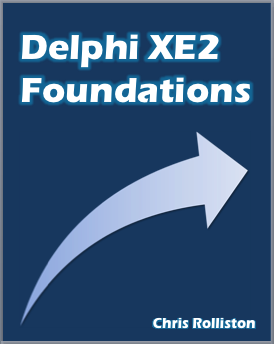 Are dynamic arrays in Delphi half-baked? A common idiom is to use a string as a data buffer. It’s common because it’s been easy — manipulating strings is generally pretty straight forward. However, existing code that does this will almost certainly need to be adjusted given the fact that string now is a UnicodeString. There are a couple of ways to deal with code that uses a string as a data buffer. The first is to simply declare the variable being used as a data buffer as an AnsiString instead of string […] The second and preferred way dealing with this situation [, however,] is to convert your buffer from a string type to an array of bytes, or TBytes. TBytes is designed specifically for this purpose, and works as you likely were using the string type previously. Now, I’m totally at one with those who think misusing the string type for binary buffers was a silly thing to do. Nevertheless, to say TBytes was ‘designed specifically for this purpose’ is equally as silly in my view, since in being a simple typedef for a dynamic array of bytes that was only added in D2007 (dynamic arrays themselves being added way back in D4), it patently wasn’t. No copy-on-write semantics. The fact that dynamic arrays and strings share key RTL functions (Copy, Length and SetLength) frequently leads me to forget this, as well as the fact that dynamic arrays aren’t in fact pure reference types in use. You cannot assign an array constant to a dynamic array. Cf. how there isn’t a practical distinction between string constants and string variables — they’re all just ‘strings’, and even under the hood, a string constant is just a string with a dummy reference count. No copy-on-write semantics means you lose much of the const-ness of constant paramaters and read-only properties — basically, the consumers of an object can change the elements of a read-only dynamic array property where they can’t change the characters of a read-only string property. Admittedly, the loss of the const-ness of constant parameters is much alleviated by the open array syntax (though let’s not dilute this by encouraging the use of paramaters declared as TBytes rather than ‘const array of Byte’, eh?). * Nonetheless, it is still an unfortunate side effect of dynamic arrays not being implemented as quasi-value types, à la AnsiString and UnicodeString.